Today in Masonic History Arthur Edward Waite passes away in 1942. 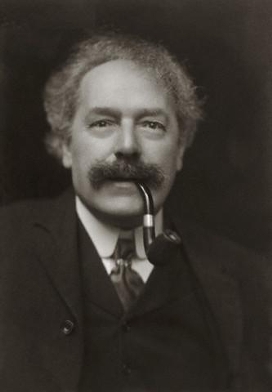 Arthur Edward Waite was an American-born British poet, writer and ocultist. Waite was born on October 2nd, 1857 in Brooklyn, New York. His father passed away when Waite was young. His widowed mother moved with her son back to her home country of England where Waite was raised. He was educated at a small private school in North London. At the age of 13 he went to St. Charles College. He would leave school and become a clerk. In his spare time he would write verse. In 1874, Waite's sister Frederika passed away. This led Waite to begin research psychic matters and other occult topics. He spent many hours reading in the library at the British Museum studying various branches of esotericism. In 1891, Waite joined the Outer Order of the Hermetic Order of the Golden Dawn. He would remain in the order until 1914 with a brief break 1893 to 1896. His time in the order was filled with strife. The internal feuding did not end until Waite finally left the order in 1914. In the order Waite encountered Aleister Crowley. The two are often described as foe's, although that does not do justice to the nature of their relationship. Crowley referred to Waite as the villainous "Arthwate" in his novel Moodchild. In the magazine Equinox, Crowley referred to Waite as "Dead Waite." Crowley was not the only person that Waite was at odds with. H.P. Lovecraft in one of his short stories has a character that is a villainous wizard named Ephraim Waite, that at least one source claims is based on A.E. Waite. Waite wrote many books. The main topics he wrote about were divination, esotericism, Rosicrucianism, Freemasonry, ceremonial magic, Kabbalism and alchemy. In 1921 he wrote A New Encyclopedia of Freemasonry. One of Waite's most notable achievements was that he was the co-creator of the popular and widely used Rider-Waite Tarot desk. He also wrote the companion book the Key to the Tarot. Waite passed away on May 19th, 1942. Waite joined Freemasonry in 1901 joining Runneymede Lodge No. 2430 in Wraysbury, England. It is believed that Waite was motivated to join Freemasonry because of his interest in the "higher" degrees, specifically the Royal Arch and later the Knights Templar (York Rite Commandery) which he did end up joining.